New Portland Warehouse NOW OPEN! 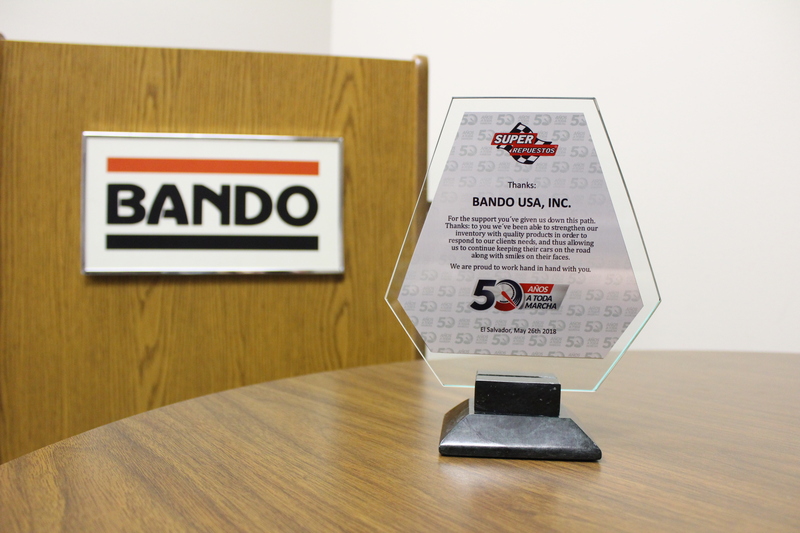 Our customer, Super Repuestos in El Salvador, was celebrating their 50th Anniversary in business, and presented Bando USA, Inc. with the Super Repuestos ‘Top 10 Brands’ Award as one of their Top 10 Leading Brands! Bando has been proudly doing business with Super Repuestos for just three years and in those in three short years, we’ve been able to achieve being one of their top 10 suppliers! 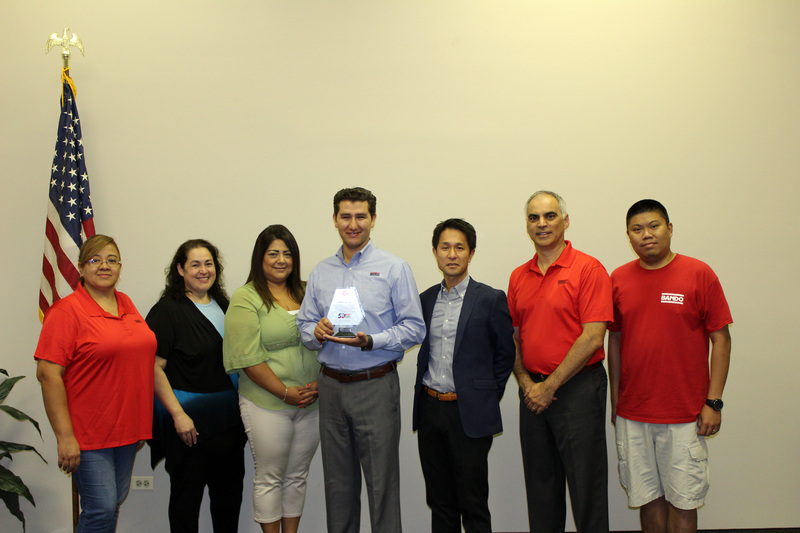 Bando was awarded for its high-quality products and excellent service. During this event more than 5,000 people attended; customers/mechanics/installers. This entry was posted in Company on August 9, 2018 by Lisa Cuffe. ← New Portland Warehouse NOW OPEN! Contact Us Today If you have questions, comments, need immediate assistance or more information, please don’t hesitate to call Bando USA at (630) 773-6600 or fill out our contact form by clicking the Contact Us Today button.